Meet new friends and discover new worlds with Hinkler’s fiction range! 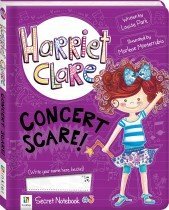 Hinkler’s range of fiction books for children features plenty of exciting reading material for kids who have advanced beyond reading along with an adult, and are ready to start making their own way on their life-long reading journey! If there’s a child in your life who is ready to start making their own reading decisions, then look no further! 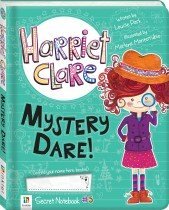 Hinkler has some fantastic kid’s fiction books, from the crazy, fun-filled world of Harriet Clare’s Secret Notebooks to collections of long-beloved classics that have delighted readers of all ages for generations! 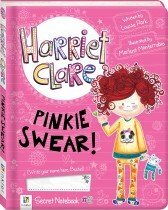 If the budding young reader in your life has a taste for the zany or a yearning for some wholesome and relatable hijinks, then Harriet Clare is the perfect reading material! 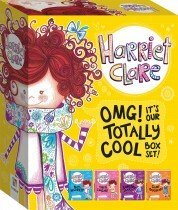 A visual feast of fun, the Harriet Clare books draw in even the most reluctant of readers with charming drawings, colourful illustrated text and fun sketching activities in each book. 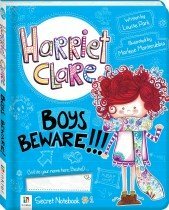 As she faces life’s challenges, Harriet encourages problem-solving, self-awareness and empathy in the reader by asking, `What would you do?’. 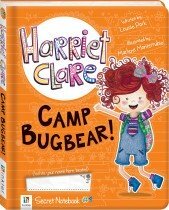 The Harriet Clare book series helps children to better understand anxiety while immersing themselves in the wonderful, everyday adventures of a normal little girl. If your young reader is more drawn to time-honoured classics, then why not try our Illustrated Classics children’s fiction picture book collections? Each set contains 12 beautifully illustrated, hardback works of literature, rewritten to appeal to a young, modern audience. Discover brand new worlds, underwater wonderlands, active volcanos and deserted islands with our Tales of Adventure collection, or join Anne of Green Gables, Toad of Toad Hall and the four March sisters in our Tales to Treasure collection. 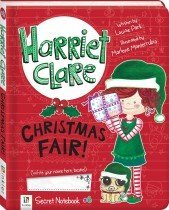 No matter what kind of story your young reader prefers, Hinkler has fiction books for children that they’ll love!